If you have decided that you are going to advertise your internet business using search engine optimization, then you need to do some keyword search marketing before you do anything else. Keywords will ultimately get you the visitors to your website that you need to be successful. Using a keyword tool like Google Adwords Keyword Tool will give you ideas on the keywords your customers are using in their searches to find what they want. Be careful though, not all keywords are good ones. Some may be obsolete and not work for you. So choose wisely. No matter how you are going to advertise, article marketing, PPC (pay-per-click) or search engine optimization, effective keywords are important to each one. Below are simple steps you can follow to do a keyword search. 1. Do a Google search for Google Adwords Keyword Tool. 2 When you get there, type a keyword related to whatever product or service you are offering in the search bar. 3. Type in the captcha security characters in the box provided. 4. Click “get keyword ideas”. 5. You will get a list of keyword search marketing ideas related to your product or service and info on how many searches that particular keyword gets and what your competition is, in numbers. What you are looking for when you see these numbers is a high search rate with low competition. This is a good keyword. 6. Now, open Notepad and copy and paste the good keywords you find into it. Remember, finding good keywords may take some time. It is not always as easy as it sounds. They generally do not just jump right off the page into your lap. Be patient. 7. Keep searching, do this over and over again until you have several keywords that will work for you. Then you can start putting your website together. Oh, by the way, the domain name you purchase for your website should be one of these keywords followed by .com, .net, .org, etc. That way, when someone searches for that specific keyword, your site will be the first one they see at the top of the search results page. It is quite the feeling when you see that for the first time. Not only are you at the top of the search results page, but you will feel like you are on top of the world, also. Take that momentum and just build on it. Try not to get discouraged if you don’t make any money right away. Just learn new and different ways to drive more and more traffic to your website. The money will come later. This is by no means a get rich quick kind of thing. This does take work. Just like anything you have that is worthwhile, you have to work for it. Starting a new internet business can be intimidating and confusing. You can lessen the confusion and intimidation by knowing and understanding what it is your customers want and need. Keyword research marketing is the first step in that process. 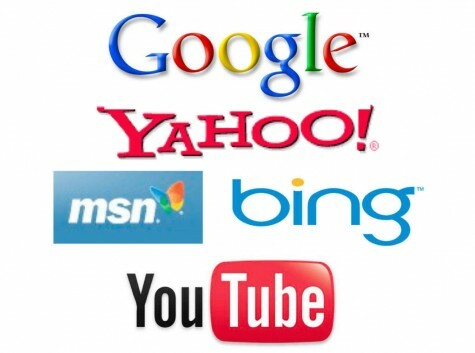 Improved search engine rankings can be obtained in hundreds of different ways. Most of them involve “SEOing” your site more efficiently. SEO (search engine optimization) is basically a way to get the search engines to like you, and therefore favor you in their rankings. One aspect of SEO involves making sure your site is keyword optimized. Are you using the keywords that people are searching for when they go online? And are these keywords relevant to your site? Are you using the keywords in the best places, and the appropriate amount of time? But the most important part of SEO is establishing backlinks. Backlinks are links that come from another site to your site. And the reason that they are important is because they are what the search engines use to determine how worthwhile your site it. If you have a lot of good quality backlinks into your site, then the search engines count this as a vote in your favor, and they will reward you with improved search engine rankings. It’s also important to note here that, although it is true that the more backlinks you have to your site the better, these links should also be high-quality. This means that the keywords being linked from are relevant to your site, and it also means that the quality of the site that the backlinks originate from should be high. So, your goal is to get links from higher ranked sites than yours if possible. But the most important part of SEO is establishing backlinks. Before starting on your backlink-building journey, you need to put your site in the right condition. Make sure that the information that you offer is valuable and presented in an appealing way. You can bring in lot of visitors to your site, but if you have nothing to offer them, then you are wasting your time and theirs. So, make sure you provide content that is valuable to whatever market you are targeting. One of the many ways to get more backlinks to your site is to comment in forums and blogs that are relevant to your market. Don’t just randomly pick these out. Search for the blogs and forums that have a high Google ranking. You can use free tools to do this such as the SEO rank checker or others to see what rank each site has. Then post comments or respond to other comments and your link will either be included in your signature or in the text of your comment (each blog/forum has different rules on this). You should also make sure that the links are do-follow links (and you can also check to see if they are do-follow with certain free tools). Do-follow links simply mean that the link will then go to your website. If they are not do-follow, you will not get many real benefits from using them. This is one relatively quick and easy way to establish credibility and obtain improved search engine rankings. Tips for Search Engine Optimization are widely sought after as this is a crucial aspect to generating traffic and income from your website. SEO experts will focus on different tips that have helped themselves or their clients to be profitable. Here are some that they all agree on. 1. Don’t put any time or effort into a website without first taking a look at your search engine optimization strategy. Your efforts will be wasted if you do so. 2. On the other hand, you can do all of the SEO that you want but if it is not based in good content, then this is also a waste of time. Make sure that the content you are offering on your website is original, valuable and problem-solving. This will bring in the best kind of links — the organic ones. People will link to you naturally because you have something of value that they want to provide to your readers. Updating your content will increase your rankings. Try to add fresh, useful content to your pages on a regular basis. The search engines favor this. The “look and feel” of your website is also important, but not as important as the content. However, photos, graphs, pictures, or images and an easy-to-navigate site will help you in terms of sEO. 3. Make sure that you include an original title tag on every page of your site, and make sure that it includes your keyword. Many people make the mistake of putting the name of their company in these titles but in general your company name will not get too many searches while your keywords will. 4. Don’t forget internal linking. When you use anchor text within your site, make sure that the linked text is a keyword or keyword phrase, and not something like “click here”. 5. This is one of the more overlooked tips for search engine optimization. Most people think of link-building in terms of quantity. But the reality is that the quality of the incoming links are much important than the quantity. One simple link from a high-quality site can offer you much greater results than lots of poor quality links, which can actually hurt your ranking. 6. Broaden your way of communicating to include video, powerpoints, podcasts, news, press releases, social content and so forth. The more different ways you can communicate what you have to offer, the better you will look in the eyes of the search engine. If you were to choose just one other form of communication, let it be video. Video is extremely hot and growing in popularity every day. 7. Make it easy for your visitors to increase your site’s ranking. Add what can be termed “viral components” to your web site or blog such as bookmarking, reviews, ratings, visitor comments, and sharing tools. 8. And the last of these tips for search engine optimization, do not underestimate or discount the power of social marketing. This is a great contributor to SEO. The most popular search engine PPC program is Google AdWords which reaches over 10 billion web pages and 100 different language versions. The benefits of using Google are its inexpensive start-up cost ($5 dollars) and the amount of traffic you will get which is far more than that of any of the other search engines. Google also provides you with its Google Analytics program which helps you with which keywords you should be targeting in your PPC ads, a website optimizer, which allows you to test different variations of your web pages to see which convert better, and step-by-step tutorials that take you through the whole process of setting up a Google Adwords campaign. Most experts agree that it is a good idea to start out with Google Adwords because of the low start-up fee and the heavy traffic. Although it is expensive for competitive terms, you can still get away with not bidding too much on the less competitive longer-tailed keywords. The Yahoo Search Marketing search engine PPC platform started out named as GoTo, then changed to Overture, and finally ended up as what we know it today: Yahoo Search Marketing. Yahoo charges a $30.00 start-up fee but then offers you 25 dollars of free ads. Yahoo focuses on sponsored Search and reaches over 80% of active Internet users. You can also reach your market through online publishers, newsletters and emails. So, instead of your ad appearing only in search rankings it will also show up next to content like articles and product reviews that are related to your business. You can also reach a local audience by targeting ads specifically for your geographical area. Yahoo also offers certain upgrades like the Search Optimizer which can automatically manage your keyword bids, and the Marketing Console which tracks how effective your online campaigns are. Each of these are available for a monthly fee. Free tools include the Keyword Selector Tool and the View Bids Tool, as well as a PPC ROI calculator and CPM ROI Calculator. Microsoft adCenter (Bing) is relatively new in the big names of search engine PPC but is very popular since it offers a large range of features, costs only $5 to sign up, and is targeted towards a buying market where the competition is not as high as Google and Yahoo, and so the amount you pay per click is lower. You can take advantage of the keyword research tool which gives you the past month’s searches for your keyword, other relevant keywords, and the present month’s traffic for those keywords. The tool also shows trends for each keyword. It is generally recommended that, if you are new to PPC, you start with just one search engine (preferably Google Adwords), learn how that works, and then move on to others if you feel that it might be worth a try.